This pulverized coconut shell inside of a lotion makes it ideal to apply on hands and face, scrub it and just rinse with warm water to leave soft and moisturized skin. In addition to the immediate visual benefits of exfoliation, the removal of dead skin cells speeds up the skin renewal process, allowing smoother, healthier skin cells to take their place. Not only will this help with fine lines and wrinkles, but it will help to ease discoloration as well. 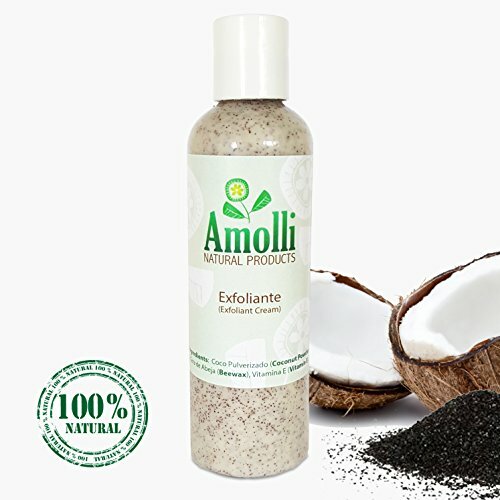 If you have any questions about this product by Amolli Natural Products, contact us by completing and submitting the form below. If you are looking for a specif part number, please include it with your message.